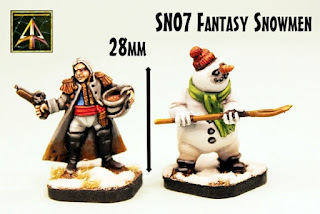 Here is a scale photo next to General Saindoux who is 28mm tall and taken from 5024 Escape the Dark Czar. 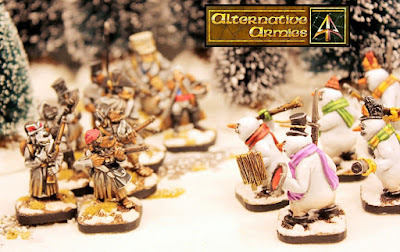 So what else can you expect from Alternative Armies in December 2018…. 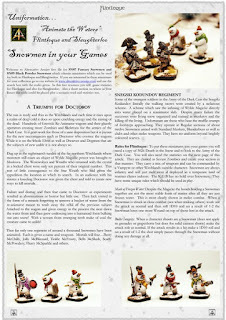 A great article on Kim Allman’s huge Ferach Armee for Slaughterloo next week. 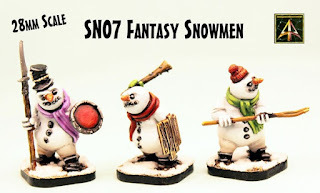 A simply superb army and lots of pictures to look at! 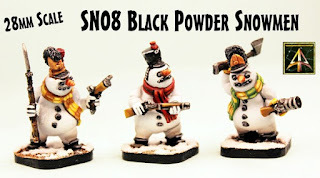 We will also have later in the month the eighth free Flintloque scenario in the Escape the Dark Czar arc which will see the retreating survivors encounter Doctorov’s latest monstrous creations the ‘Snegski Kodundov’ literally the walking snows. Can General Saindoux with the aid of allied Dogmen manage to win even as the lightening storm crackles and rages? You will get to find out. 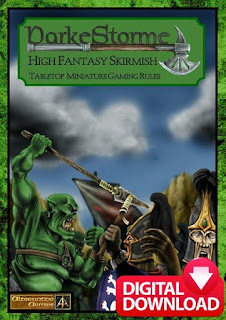 You can find all of the released free arc scenarios on our Begin in Flintloque page.